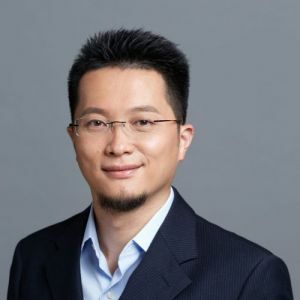 Mr. Zhaohui Li currently works as the Managing Partner of Tencent Investment and General Manager of Mergers & Acquisitions (M&A) Department of Tencent. Mr. Li is responsible for Tencent’s investments in Offline-to-Online (O2O) field, including social commerce, new-retail, automotive, education and healthcare, among other consumer industries. He accomplished various growth stage investments and M&A transactions to help portfolios becoming industry leaders. Mr. Li also leads Tencent’s global investment effort in the Interactive Entertainment space, focusing on leading gaming companies in China and worldwide. Before joining Tencent, Mr. Li was the investment principal at Bertelsmann Asia Investment, Prior to that, he worked for Google and Nokia in various product and business roles, where he gained substantial experience in the internet and mobile internet. Mr. Li holds a bachelor’s degree from Peking University and an M.B.A. degree from Duke University’s Fuqua School of Business.